04 | February | 2019 | H.A.W.K.S. 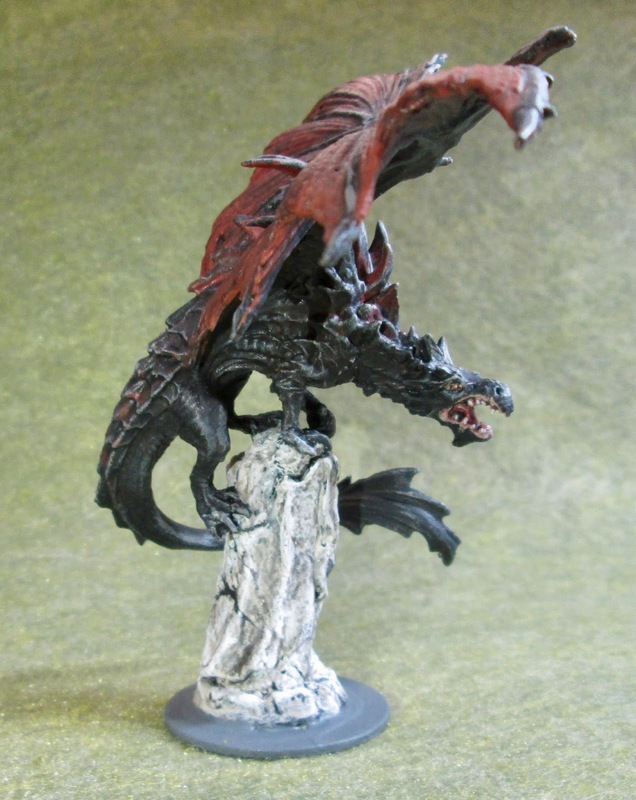 This past week, I continued to work through the remaining Bones 3 Stoneskull Expansion figures, and painted the Temple Dragon. 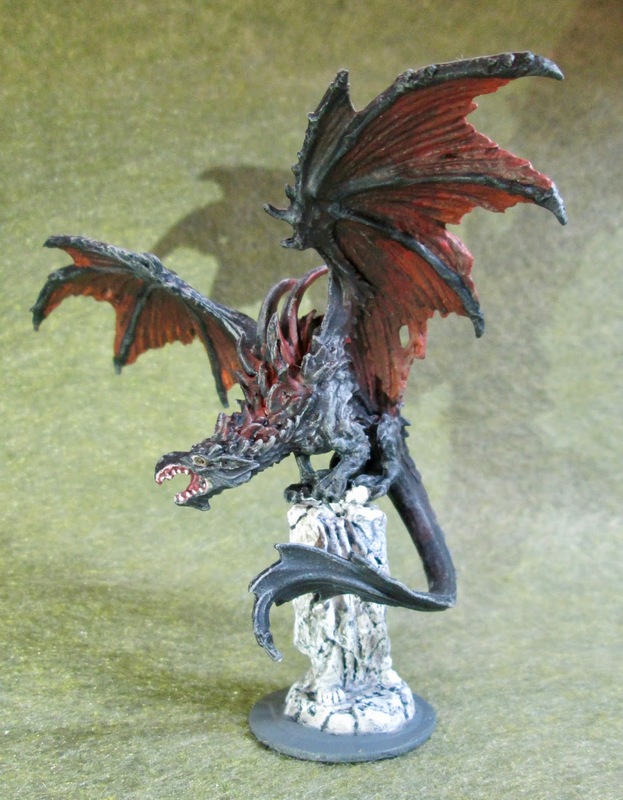 I am going to be painting a Drogon from Game of Thrones in the future, so saw this as an opportunity to test a color scheme. I prepped the figure in the usual way; soaking the parts it in a dish of water with a couple drops of dish-soap added, then giving them a light scrub with a soft toothbrush, and then rinsing and drying them. I then assembled the figure using Gorilla Superglue Gel. 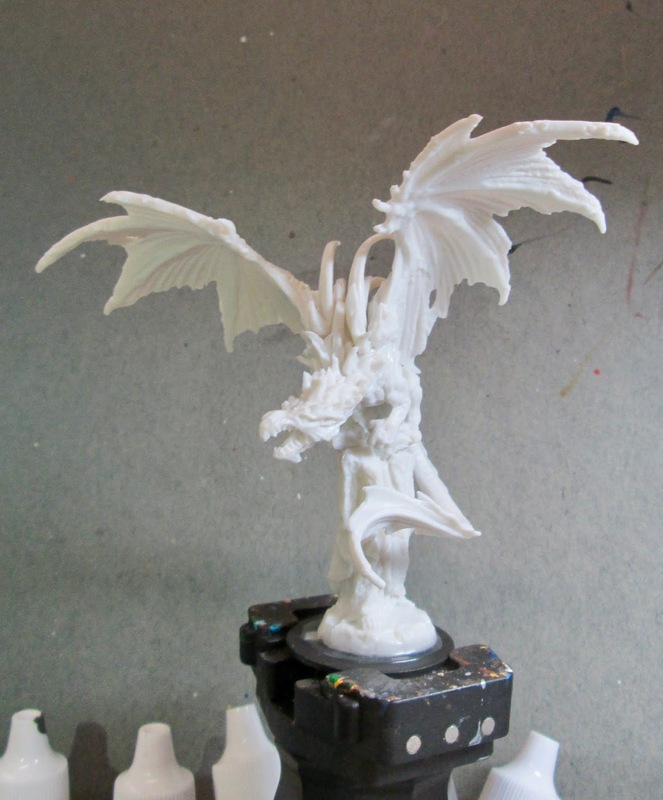 After that, I glued the figure to a black-primed 1.25" fender washer with Aleene’s Tacky glue, and then placed the figure in my painting grip. 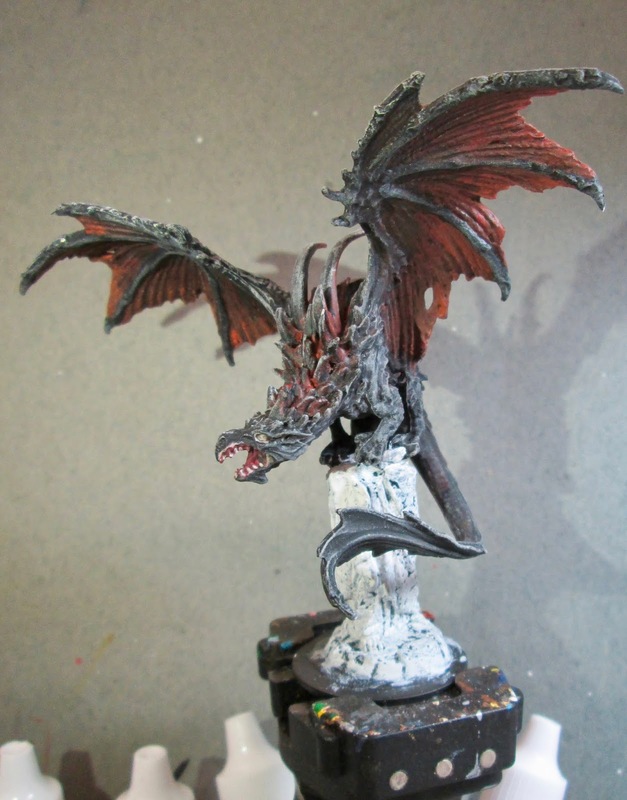 I began by painting the entire figure with Ceramcoat “Black”. 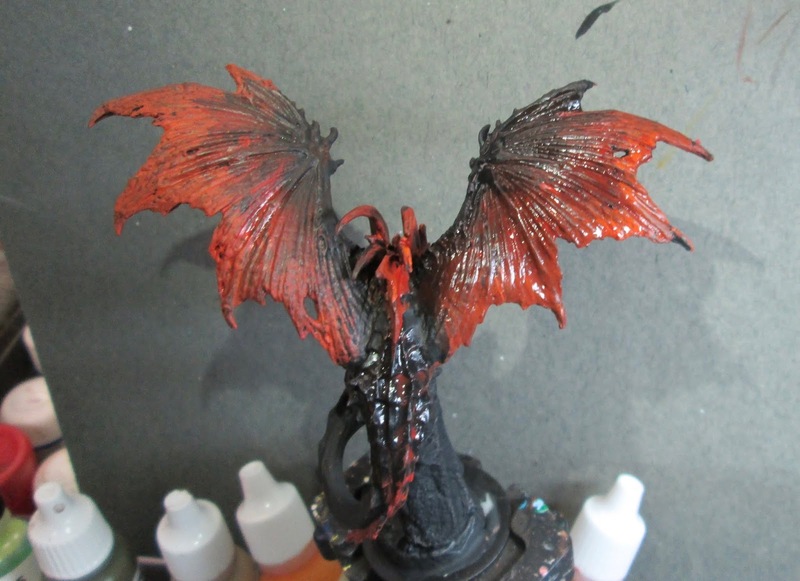 When it was dry, I wet blended the wings, both top and underside, a three way transition from “Black”, to Reaper MSP Bones “Cinnamon Red”, to Americana “Burnt Orange”. 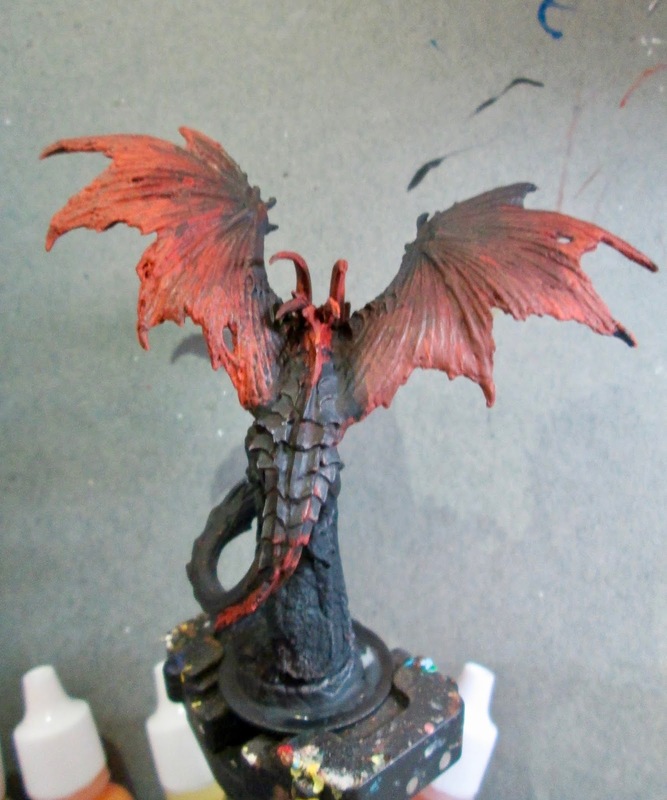 I also used some thinned “Cinnamon Red” to paint the spines and scales along the back and the body around the wings. And here’s how it looked when dry. 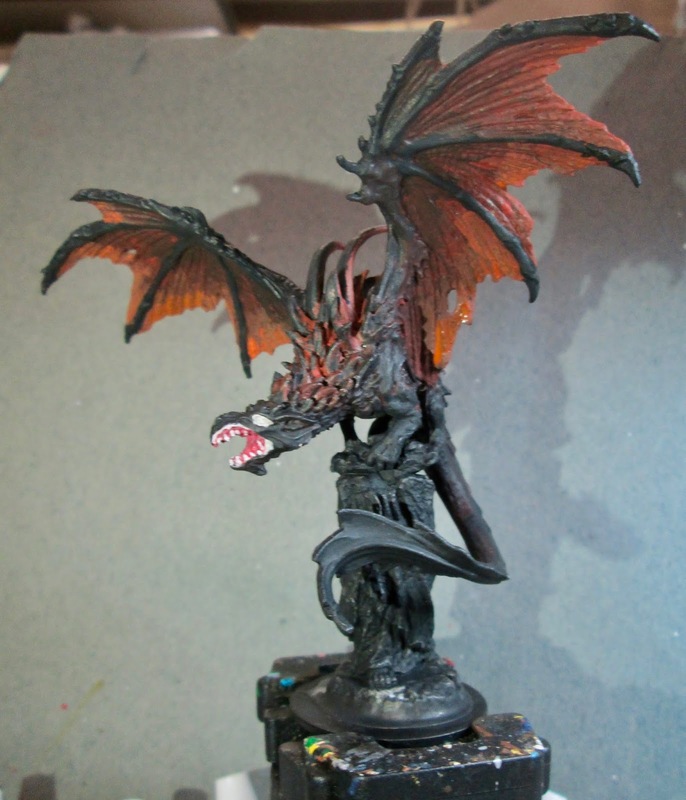 Next, I went back over the body drybrushing it with the “Black” to try to give the red the appearance of being down in and between the scales and not on the tops. I then painted the mouth with a mix of Americana “Shading Flesh” and Folk Art “Burgundy”. After that I painted the eye sockets and lips with Folk Art “Milkshake”, and the teeth with Crafter’s Acrylic “Light Antique White”. Then after everything had a while to dry, I gave the entire figure a wash with Citadel “Nuln Oil” Wash. When the wash was dry, I drybrushed the dragon with, in succession; Americana “Neutral Grey”, Crafter’s Acrylic “Storm Cloud Grey”, and Folk Art “Platinum Gray”. 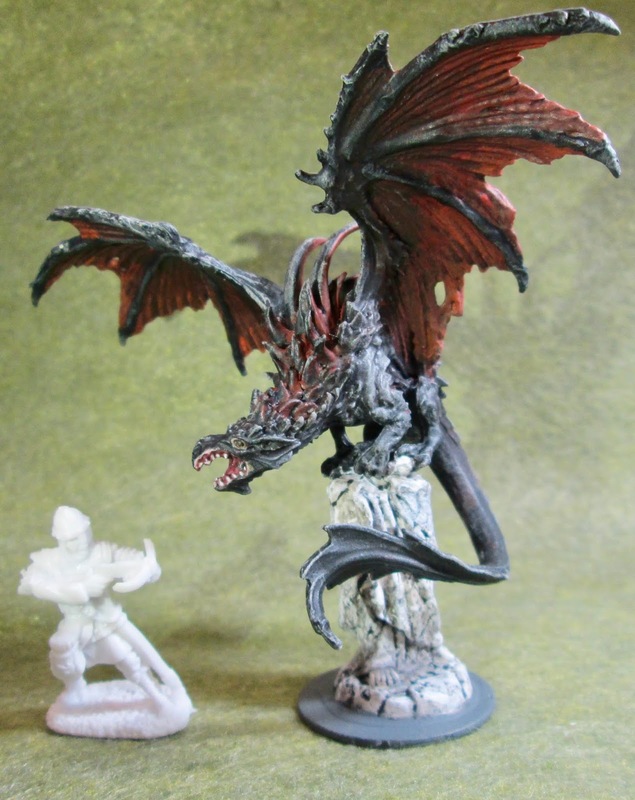 After that, I painted the statue on which the dragon is perched upon with the “Light Antique White”, and added some striations with the “Black”. 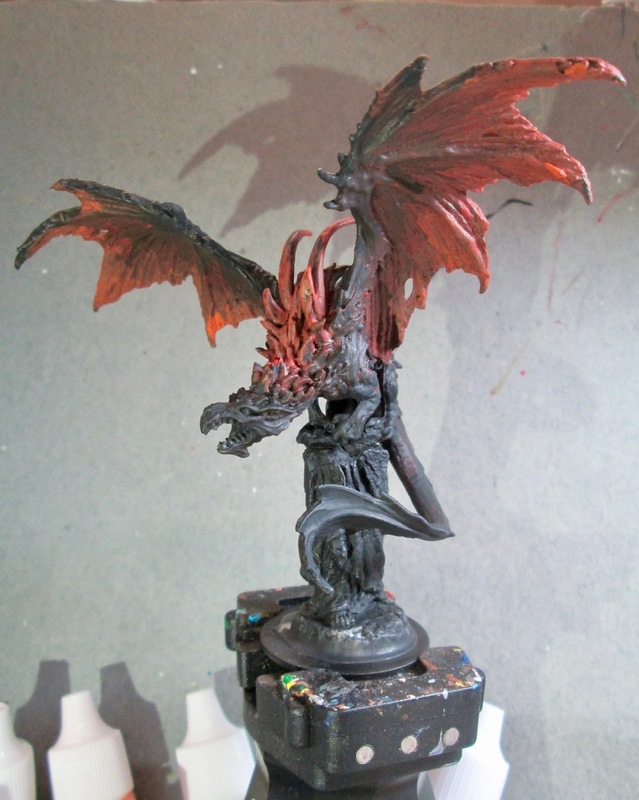 Next, when the statue had time to dry, I gave it a wash with the “Nuln Oil” too. I then highlighted it with Americana “Snow White”, and used this color to highlight the teeth too. I painted in the eyes, trying to add a little Accent “Mustard Seed” to the pupils to give them a gold-flecked looked. Lastly, I painted the washer base with Americana “Zinc”. I let the figure dry overnight and the gave it a coat of Americana “DuraClear Matte” varnish. Another overnight dry, and I sprayed it with Testor’s Dullcote". Shown with a Reaper human figure to give a sense of scale. All in all I’m really happy with how this dragon turned out. 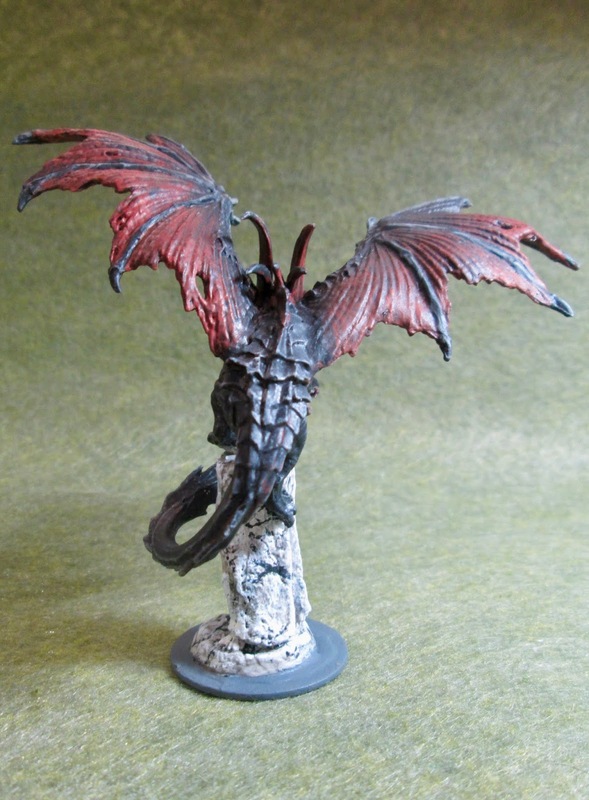 I think he looks suitably fierce, and I think the color gradations in his wings turned out looking pretty good.